You know that Brexit summit you keep reading about - the one Theresa May hopes for this month where the UK's exit deal from the EU is finalised? The word on the EU grapevine is that even if the summit does still take place in November - which is by no means guaranteed as negotiations remain stuck over the Irish border - the prime minister may not even be invited. How can that be, I hear you cry. How can a seal-the-deal Brexit summit of EU leaders not have the UK prime minister present? "Well, why would the EU solve an issue in one go, when there's the possibility to drag it out?" one European diplomat put it to me, drily. The logic behind having a Brexit summit without the UK, however, really comes from the fact that EU leaders will have to digest a lot of paperwork beforehand. 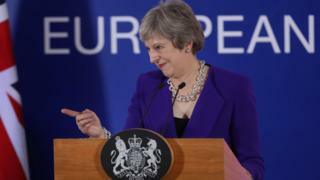 It will include the withdrawal agreement (aka the EU-UK divorce deal), the political declaration on the EU-UK future relationship and the fine print of an EU-UK customs partnership which is being hurriedly put together by negotiators to act as a not-intended-to-be-used insurance policy, to guarantee that there will not be a hard border between Northern Ireland and the Republic of Ireland, whatever economic relationship the EU and UK forge after Brexit. More from Katya: On the verge of a nervous Brexit breakdown? And leaders won't have long to pore over these politically, legally and economically important documents if there is to be a Brexit summit this month, for the simple reason that not one of the said documents has so far been completed. So, a number of EU countries now want the Brexit summit to be a chance for their leaders to put questions and objections to Michel Barnier, the EU's chief Brexit negotiator. Another, later Brexit summit would follow with Theresa May, in order to rubber stamp the deal. Current thinking in Brussels is that this could be attached to the regular, non-Brexit-specific summit of EU leaders on 12 and 13 December. Deal or no deal - how are EU countries preparing? But all this European musing is for the birds if no agreement is found over the Irish border guarantee. EU and UK negotiators are, once again, in a self-imposed, all-consuming 24/7 "tunnel" of talks, in an attempt to shut out all political and social media noise and find their way to a solution. The UK government's apparent optimism this week about a deal being moments away - with Theresa May poised to call her cabinet together even as soon as this weekend - is not matched by EU sources close to negotiations. I've always used the square peg and round hole analogy for the Brexit-Irish border conundrum. But now, after extensive heated and to an extent fruitful negotiations, the peg has become smaller but so has the hole. The EU now accepts the UK proposal that the whole of the UK would stay in a European customs partnership until a close, post-Brexit trade relationship between the EU and UK has been forged, leading to any talk of a customs border between the two - affecting the island of Ireland - becoming irrelevant. EU countries that trade most with the UK, such as France, Germany and the Netherlands, want to ensure that, if it were to be used, the customs partnership now hastily being drawn up would not be to the UK's competitive advantage. They want the UK to sign up to what's known in trade-speak as a level playing field. This affects common restrictions on state aid, for example, as well as certain labour regulations and environmental laws. There is also talk of the EU trying to get agreement on maintaining fishing rights in UK waters as part of the accord. UK critics of the customs partnership - such as Brexit Secretary Dominic Raab - say the UK would need a unilateral get-out mechanism to ensure it wouldn't forever stay tied to the EU customs regime, which, you will remember, renders the UK unable to make any independent trade deals at all. The EU argues, however, that it wouldn't be a proper guarantee to prevent a hard border between Northern Ireland and Ireland if the UK could abandon said guarantee - i.e. the UK customs fallback plan - whenever it felt like it. But the UK then argues that if the EU co-polices the Irish backstop then Brussels would have the power to potentially keep the UK tied to its customs regime for the foreseeable future. Which doesn't much look like the return to national sovereignty which those who voted Leave in the EU referendum were promised. 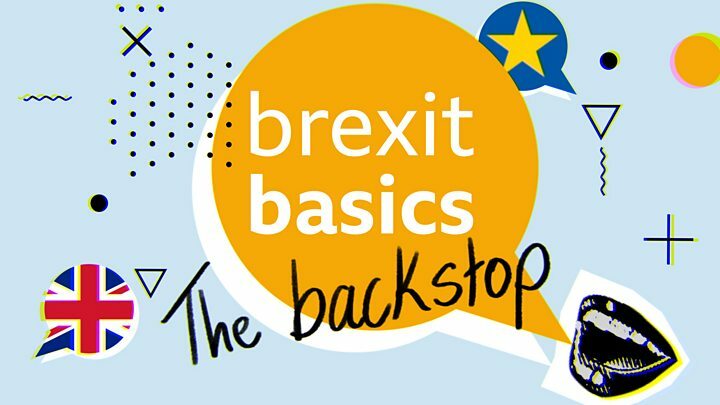 2.5 There are disagreements in UK government circles as to whether the Irish border guarantee should constitute two different customs plans with the EU - one for Northern Ireland, which already has devolved powers, and one for the rest of the UK that would be easier to uncouple. To sum up: the deal is not yet done. 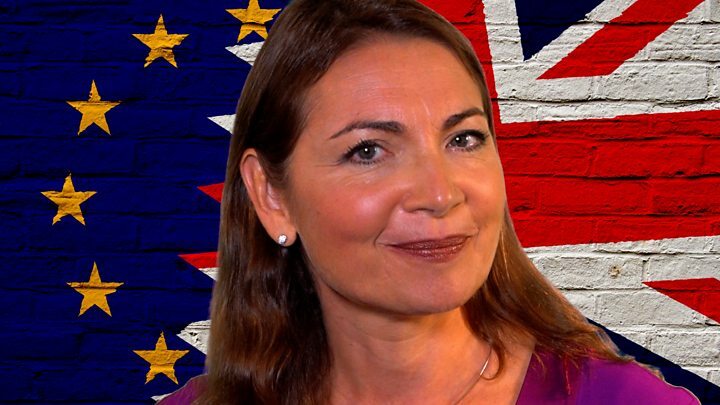 But if and when it is - with chat about a UK parliamentary vote as late as 21 December - then my European contacts tell me EU countries will start work in January 2019 to hammer out a new mandate for Brussels negotiators, who in theory would start work on the new EU-UK post Brexit trade deal as of 1 April. Michel Barnier and his by now infamous ticking-clock warning of negotiating time running out will no longer be part of proceedings after Brexit day, I'm told. The UK will by then be a third country, the EU term for those outside the club, and trade talks will be far less high profile, says Brussels.